Quickly & easily cuts through brake dust, road grime, dirt & oil. It comes with a detachable ICE Edgeâ„¢ tough, baked on brake dust. ICE Edge Brush is versatile, can be rotated 180Â° separately. 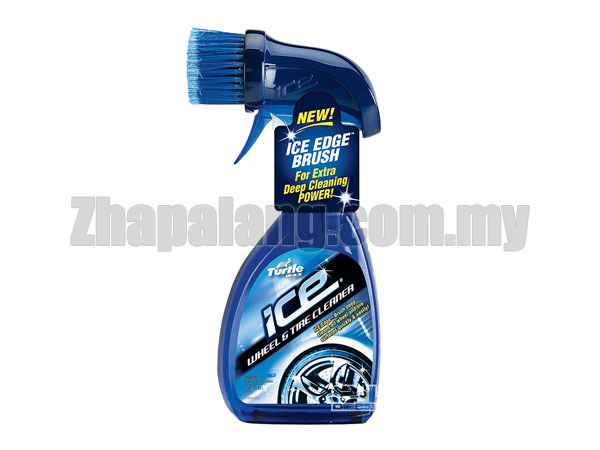 ICE Edgeâ„¢ Brush that provides total control application with no overspray onto wheels & body panels. ICE Edgeâ„¢ Brush is versatile, can be rotated 180Â°. Brightens sidewall lettering on tires. Safe for all aftermarket & OEM wheels & tires. Brush that can be used to clean intricate wheel areas & loosen, & be used on the bottle or completely removed & used.